In early 2011, the wonderful Rebel Doll zine put out a request for content. That content should in some way focus on robots. 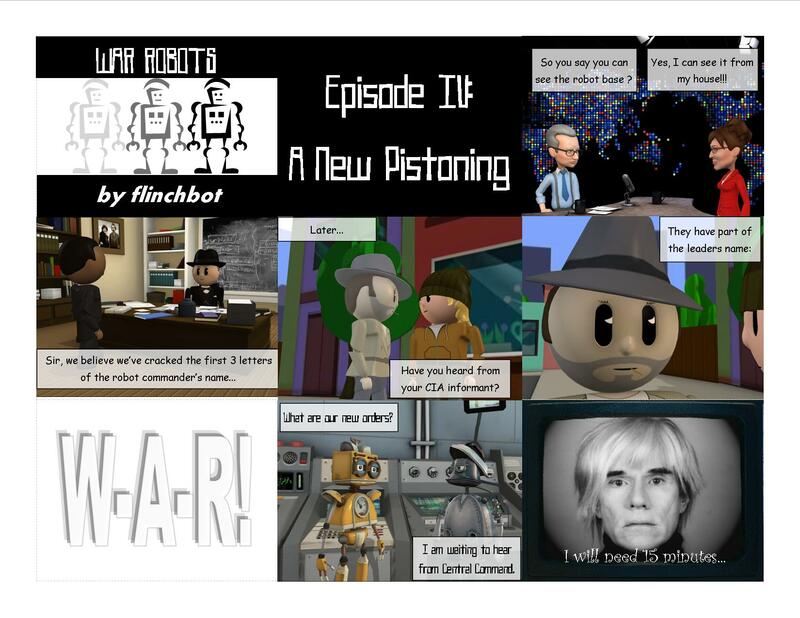 I submitted the work below – a page from a hypothetical graphic novel entitled “War Robots”. It was selected and appeared in edition #3, released in early February, 2011. Click on the image for the full size version. This really got my creative juices flowing and I have an idea for an entire short film based on the above. Now I simply need motivation to plant myself in front of a computer screen for 80 years and making it happen.